Trust him, he's a doctor, but you may die laughing! Contact us to be added to the waiting list. 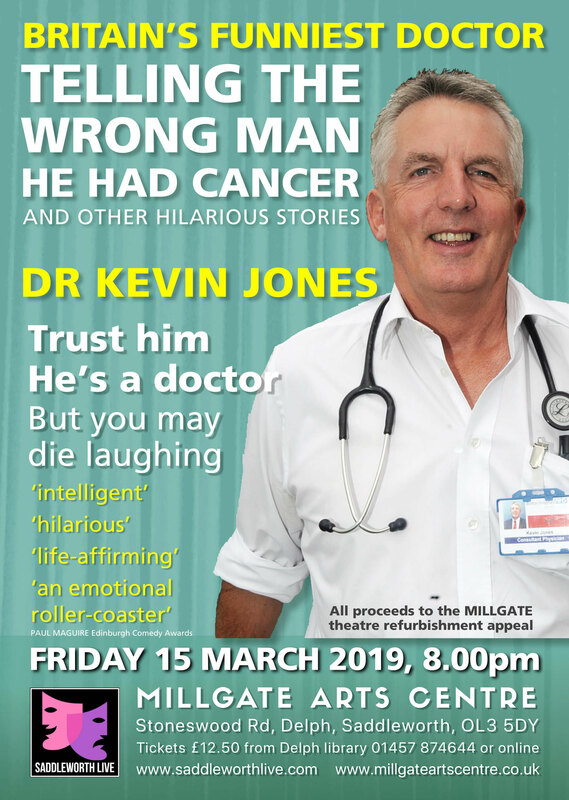 Dr Kevin Jones is a practising consultant physician who has been on the comedy and after-dinner circuit for 30 years. 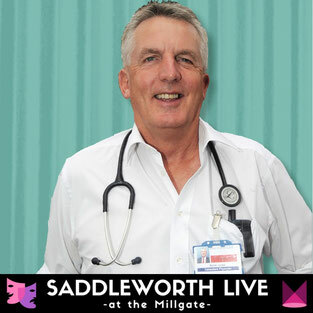 His one-man show, a huge, sell-out hit at the 2018 Edinburgh Fringe Festival, celebrates the dark humour inherent in hospital medicine - frightening, illuminating and very, very funny. A true-tales, medical comedy show that is poignant, insightful, bizarre and gut-wrenchingly funny. Trust him, he’s a doctor, but you may die laughing. Thanks to Dr Jones’s kind generosity and support for the Millgate, ALL money raised at the box office will go directly to the Millgate Arts Centre’s refurbishment appeal. Kevin Jones qualified in Medicine from Liverpool University. He spent four years on the Heart-Lung Transplant team at Papworth Hospital, Cambridge, six years at St Bartholomew’s Hospital, London and is now a NHS Consultant Physician in Northern England. He has been on the after-dinner speaking circuit for 30 years and is probably the funniest doctor to tell stories about cancer there has ever been! He has been seen with celebrities like Stephen Fry, John Bishop and Michael McIntyre and forced them to talk to him. His selfie-collection is extensive as he stalks comedy celebrities all over the country in the hope that some of their greatness will rub off on him.